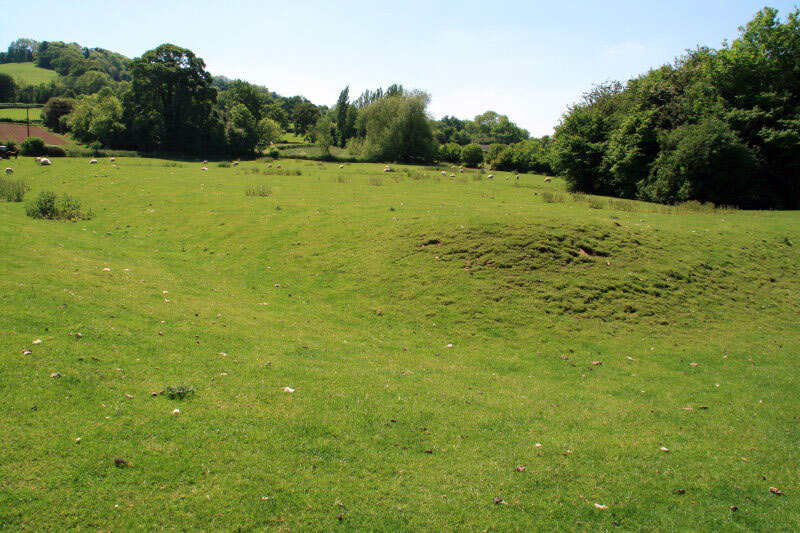 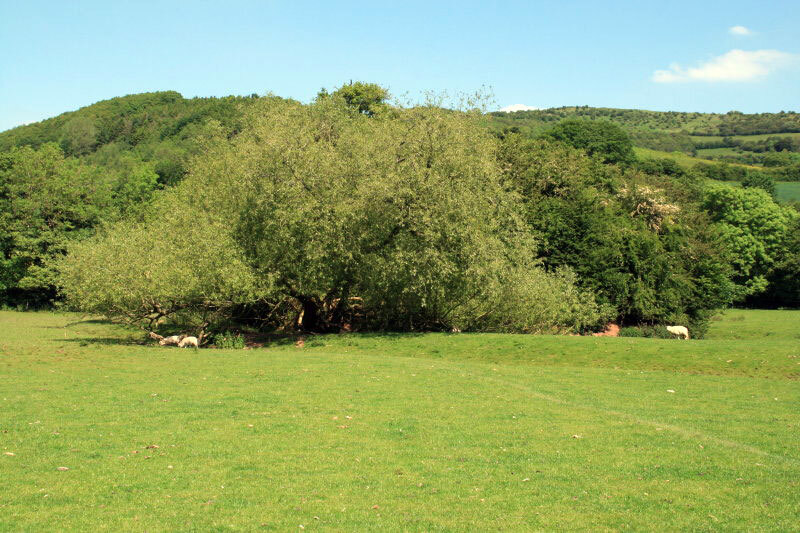 Just the earthworks remain of the motte and bailey castle as there is no visible stonework. 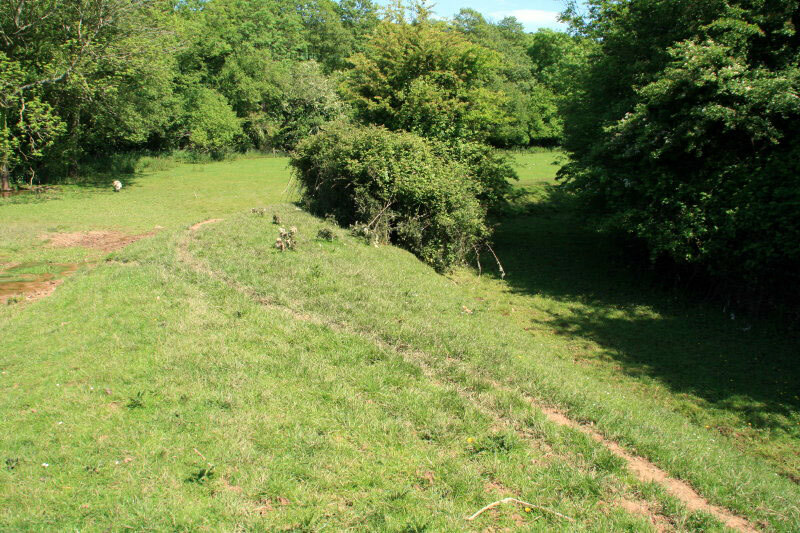 The motte is about 100 feet across and is 15 feet high surrounded by a ditch. 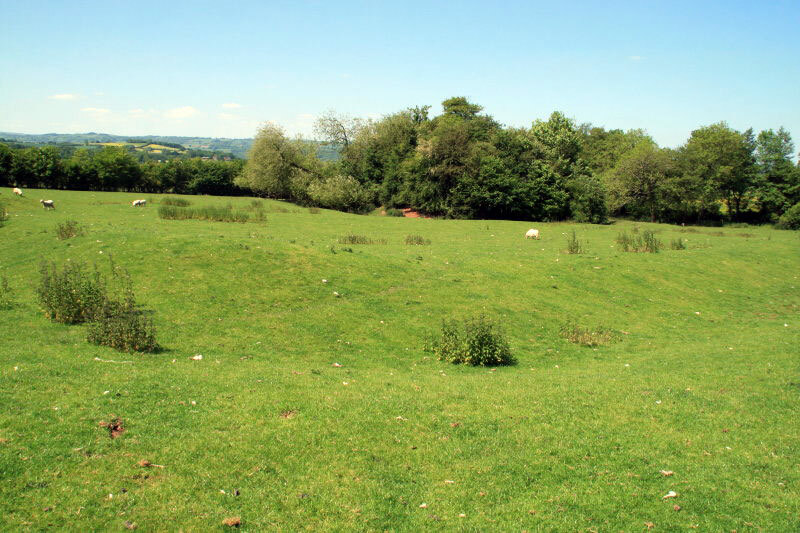 There is a large outer bailey which was also surrounded by a ditch.